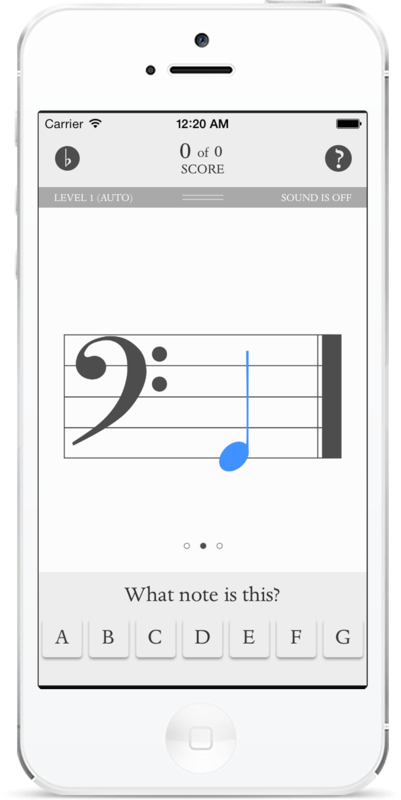 Blue Note allows one to easily learn musical notes by memorizing one set of notes at a time via random repetition. Begin at level one and build musical note recognition while advancing through all levels until all notes have been mastered. Blue Note was designed with the experience and knowledge of a former certified elementary school teacher to effectively teach musical notes. "I am an adult beginner at piano & really struggle learning the notes. I spent $8 purchasing other apps that just confused me. This app is concise, to the point & extremely helpful to anyone having trouble memorizing & locating notes." 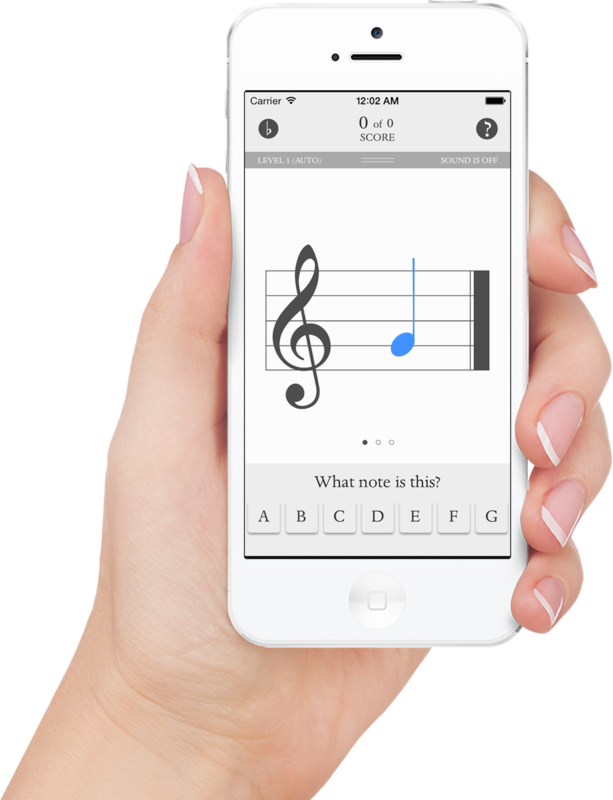 "I've been teaching piano for 14 years, and I love this app!! I have my students buy it to practice with at home. I also use the app on my iPad during lessons." "Just started using this app a few days ago and already recognizing the notes...Love It :)"
"Thanks - now all those lines, squiggles and blobs are starting to make more sense! :)"
"I am taking Music Theory for the first time in a college classand this app is a extremely helpful tool for studying the basics." "It works great! I love it! My piano teacher was surprised to see how much I improved! " "Learned my first set of notes in less than 5 minutes :)"